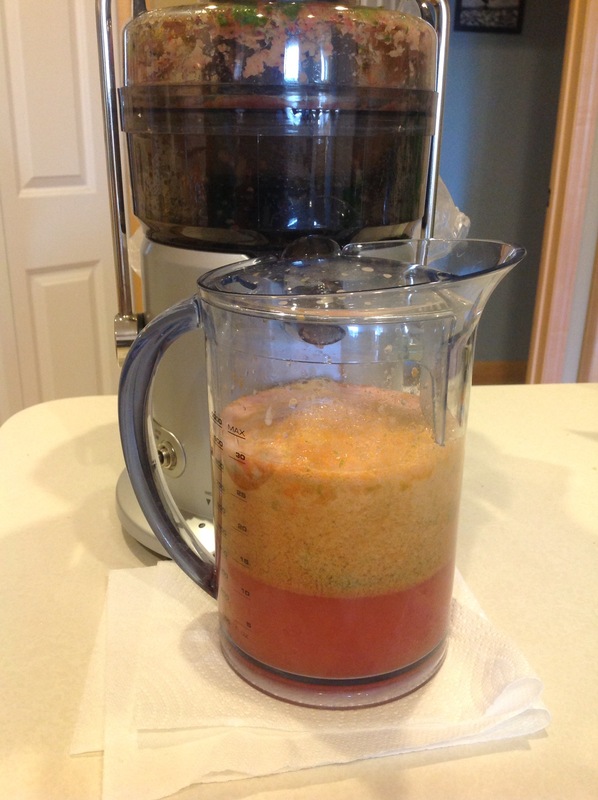 Breakfast Juice #38 and Lunch Juice #39 – Go Blondie! 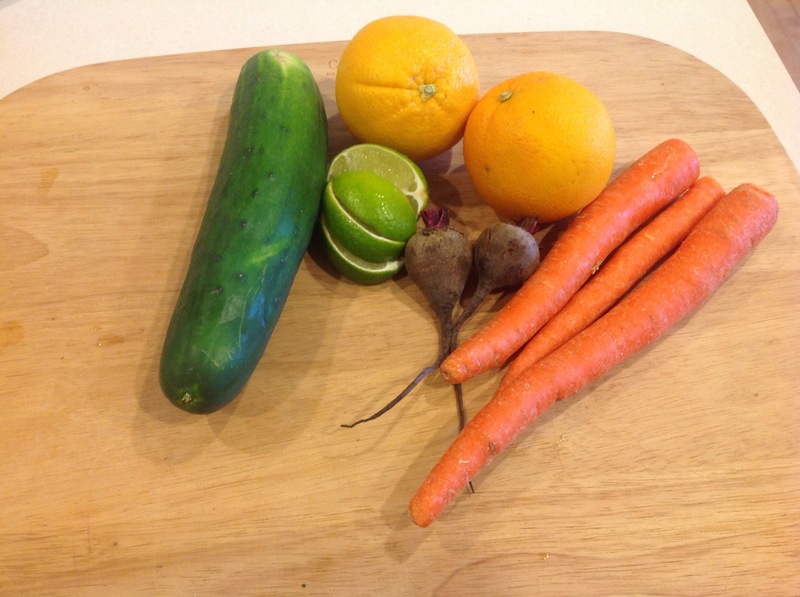 This are the Juices from Monday. 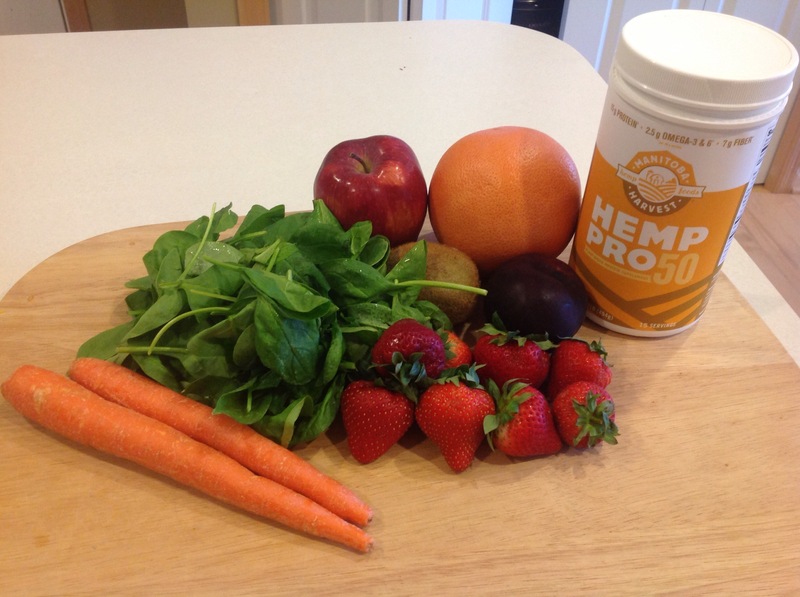 It was the first juice of using the Hemp Protein. I like the protein so far; however it has a “gritty” taste to it. The serving size says it’s 4 tablespoons, that seemed to be a bit much with just our juices, it might be better if it were a smoothie. I also like the addition of plums. Finished Juice. I enjoyed this morning juice, only thing I would do different is less powder. Finished Juice. 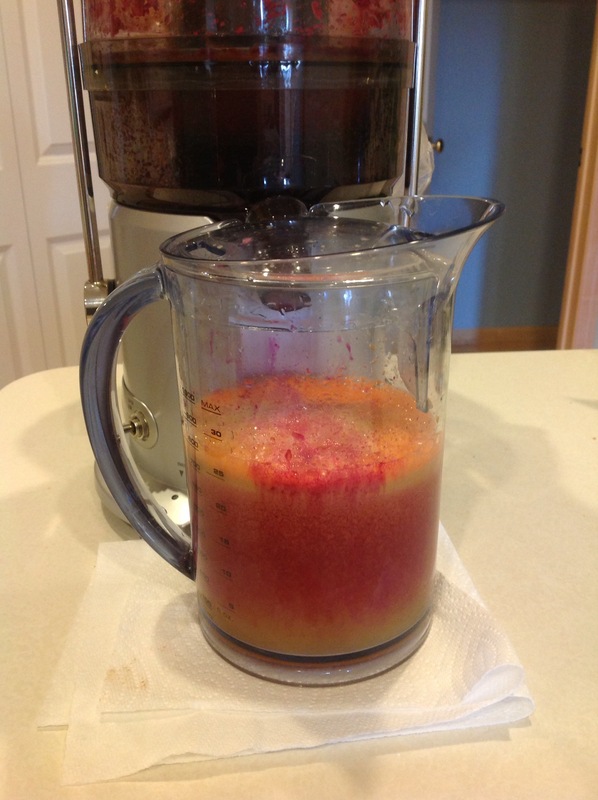 I am beginning to like beets and I feel that the lime in the juice helps a lot. Rating: 6/10 for taste and visual.